Sundeep Kishan’s latest flick has been wrapped up it’s shooting formalities and the makers have decided to release the audio on the auspicious occasion of Dussera in October. 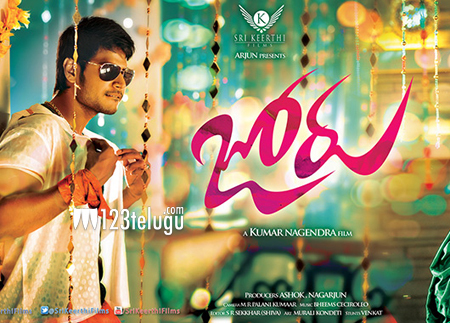 Lahari music has bagged the music rights of the film. Joru is directed by Kumar Nagendra of Gundello Godari fame. Interesting aspect of this film is that Sundeep will get to romance three heroines in this flick.. Rasi Khanna, Priya Banerjee and Sushma will play the female leads.